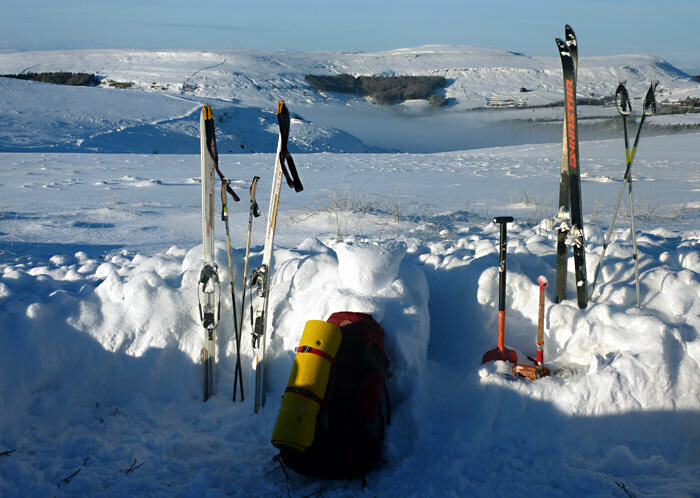 While most of the nation has been stuck indoors thanks to the recent snow, Woodlore customer Garry Dutfield headed out onto the North Yorkshire Moors for a spot of camping, and even took his cross-country skis along for the journey. Although it has a hefty price tag I decided it would be the one to go for; I purchased it from yourselves as you offered it at the best price. I’ve used it 3 or 4 times, but never in the winter until last week, where I went to the North Yorkshire Moors. 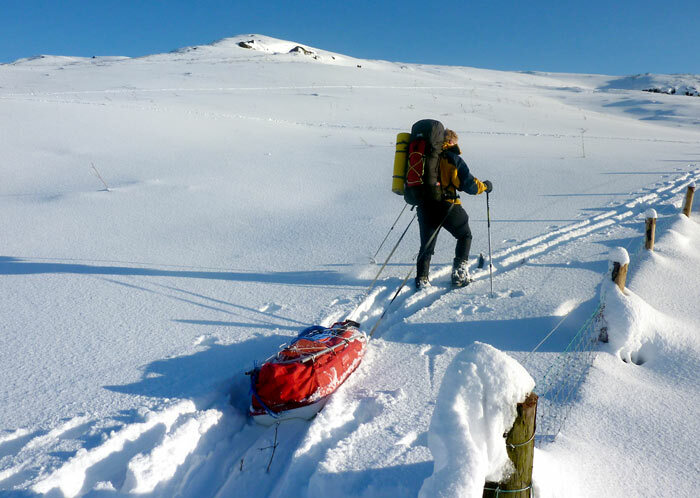 It was used for two nights while we did a cross-country ski tour across the Moors. 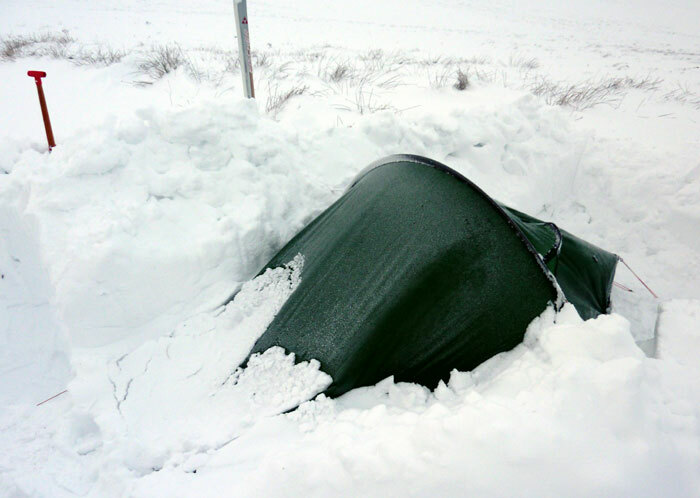 It performed brilliantly in temperatures of minus 10 degrees centigrade and blizzard conditions – I must say what a fantastic tent in the winter. I’ve enclosed some photos and would recommend this tent to anyone looking for a 3/4 season tent. Well done Hilleberg, fantastic quality. 5 stars. This entry was posted in Bushcraft Clothing & Equipment, Customer Posts on December 23, 2010 by Woodlore Team. Great pics! Out of interest what sleeping bag did you use? Next time you replace your Akto, or if you intend to go high, you might consider Hilleberg’s Soulo. It has slightly more room, with slightly more weight of course, but will stand up to anything that wishes to throw itself at you Garry! 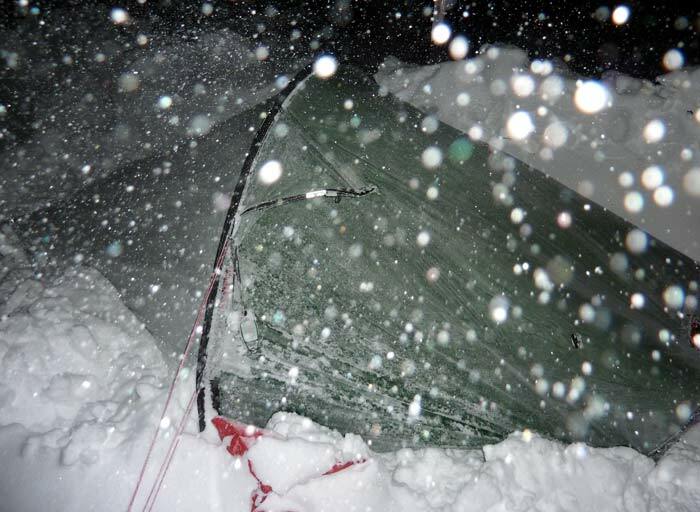 I discovered this on the very first night I tried to pitch my new tent, and was glad I wasn’t in my Akto. Great stuff, i have thoroughly enjoyed the snow this year and hope it is a regular affair for years to come, I have to agree with Ian the shots look like they could have been taken on an arctic expedition. from personal experience it always pays dividends to get the best possible kit you can afford never cut corners or take the unknown cheapo option especially when it comes to tents.. i have seen the Akto up close and it is on balance one of the best in its price range. it does not suprise me that Ray Mears store has them in stock being a quality item. Looks like a great trip, have been on those moors many a time but never needed skis or sled, looks more like Scandinavia/Canada!